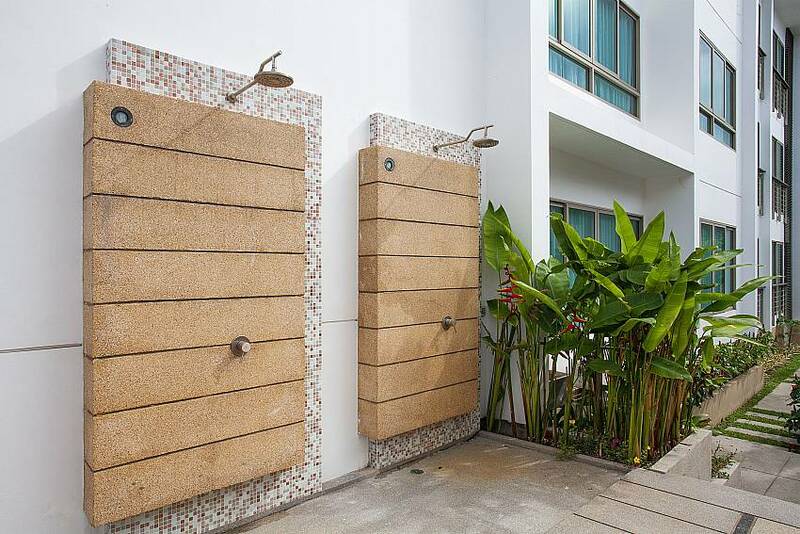 Located in peaceful Kamala Village, this one-bedroom condo is on the ground floor of a development with a host of facilities that include a communal swimming pool, onsite restaurant and a gymnasium. 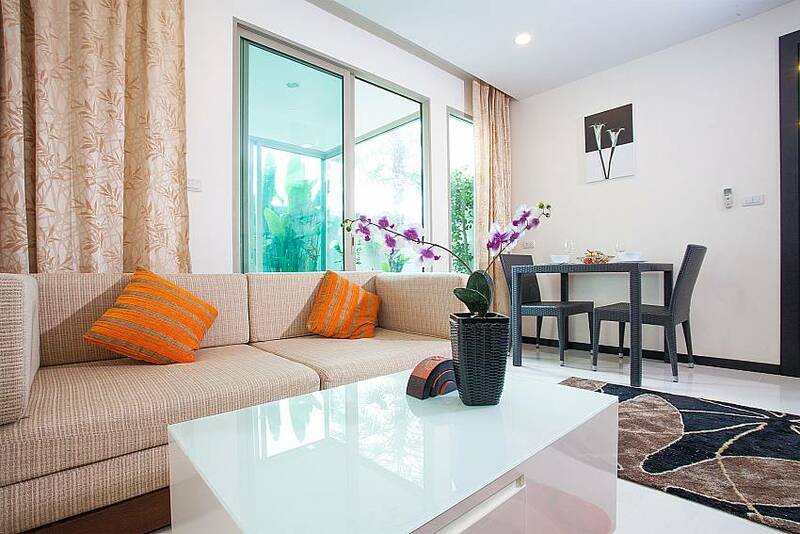 The property lies just 1.5km from the beautiful Kamala Beach and is very secure. 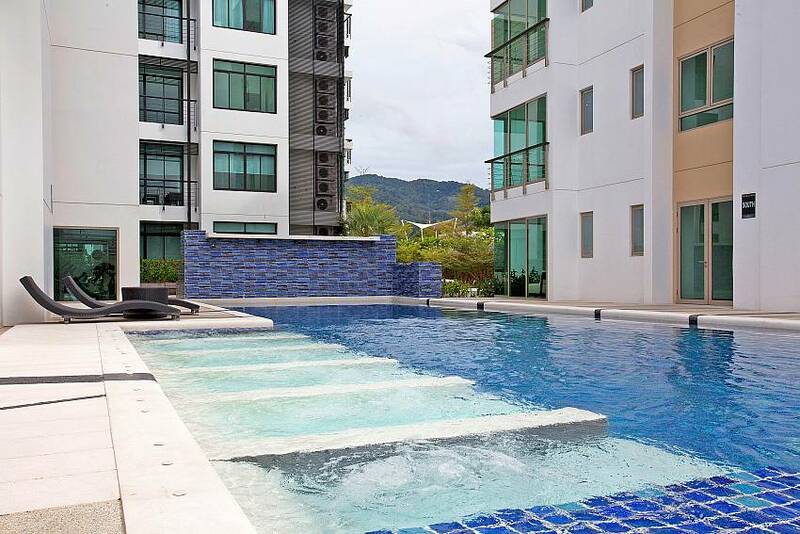 Situated on the ground floor, this condo has some great communal facilities. 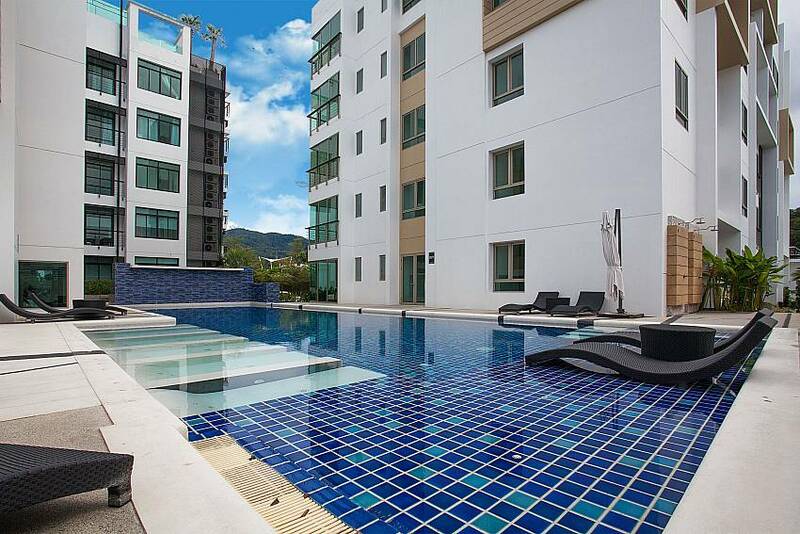 Guests can enjoy the communal swimming pool and restaurant. 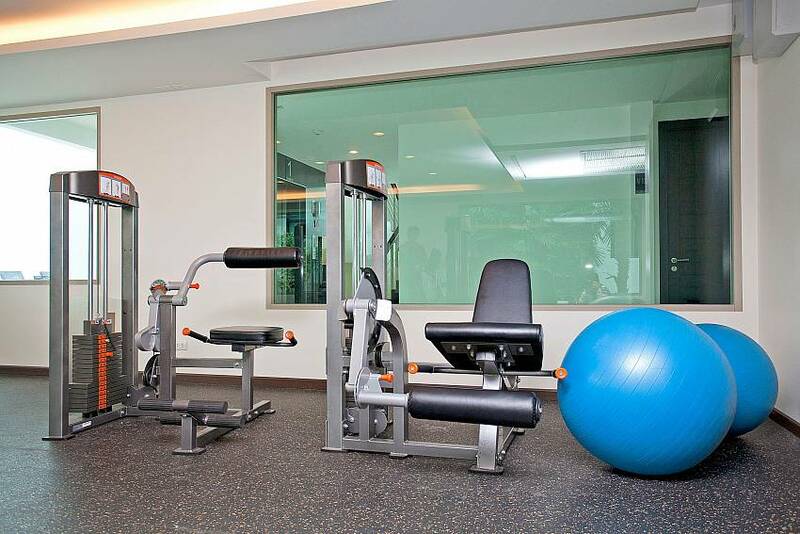 For those looking to stay active there is a modern fitness room where you can keep fit during your Thailand vacation. 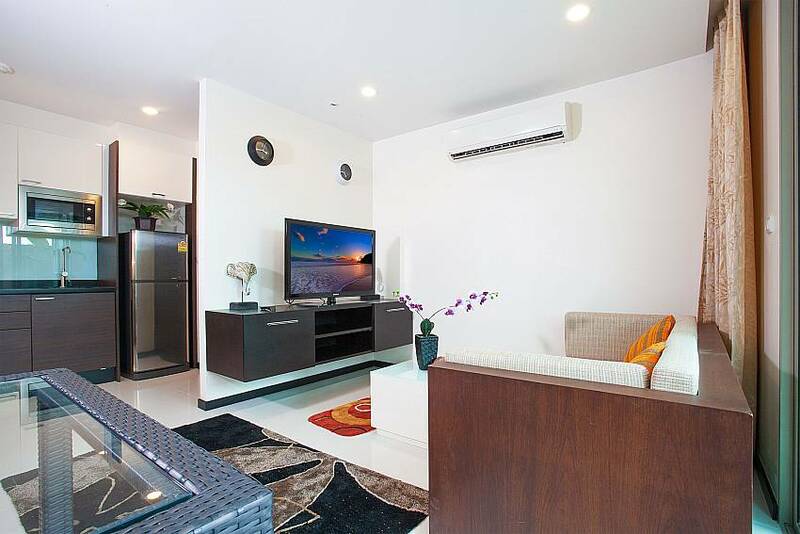 This cozy apartment has a modern design and a perfect location for a Thailand beach holiday, ideal for individuals or couples looking for an affordable property in a great location. 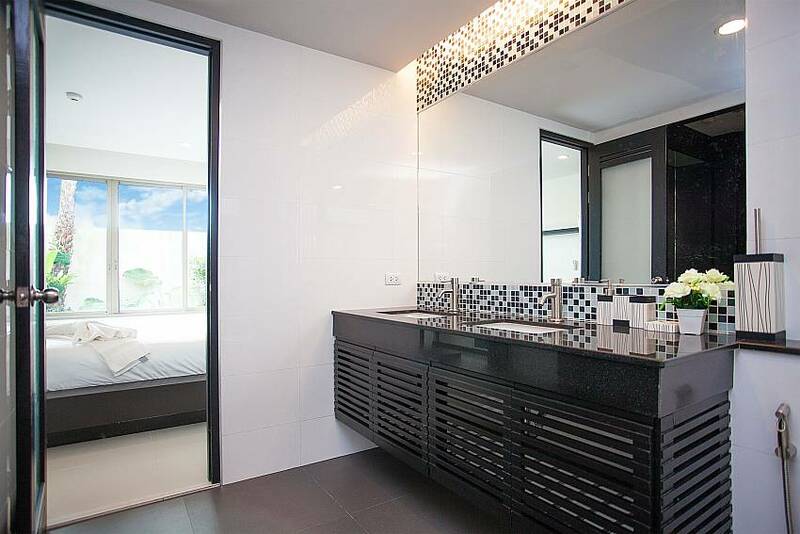 The interior is very clean and the use of white ceramic tiled floors and wooden fixtures accentuate a modern and contemporary concept. 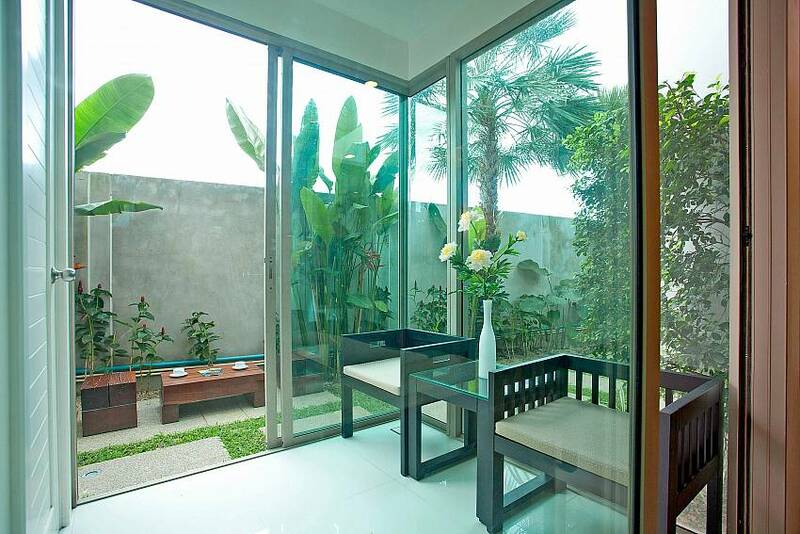 Being a ground-floor apartment means you have your own garden terrace with seating areas and plants. Patong Beach is a quick drive, allowing guests to soak up the sun in the day and also enjoy the pulsating and vibrant nightlife. 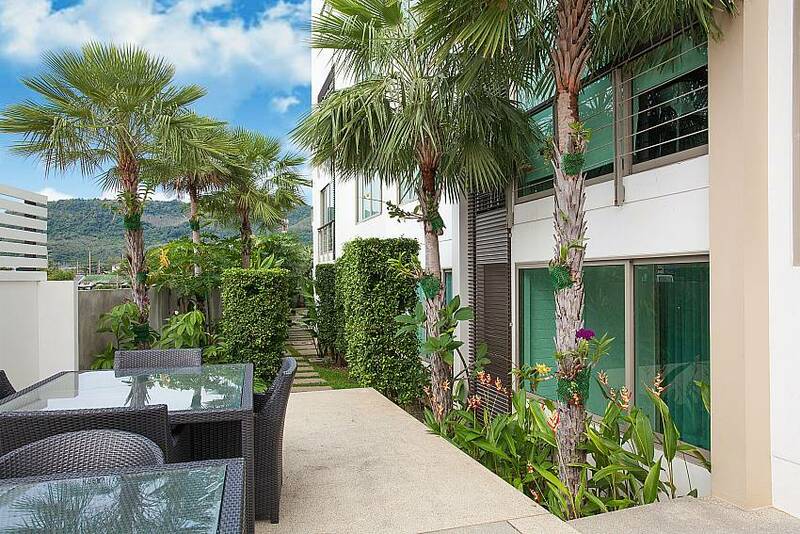 However, the area directly surrounding the condo is peaceful and relaxed. 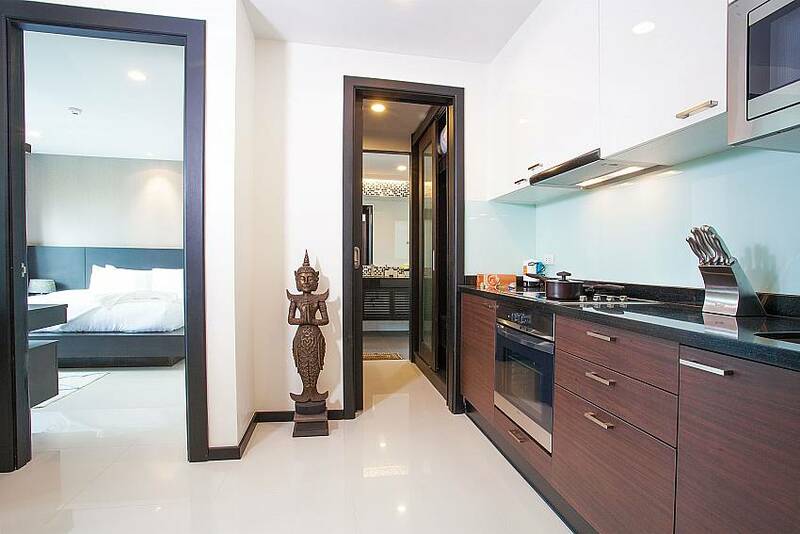 Kamala Beach is a 10-minute walk from the development in great location for holiday fun. 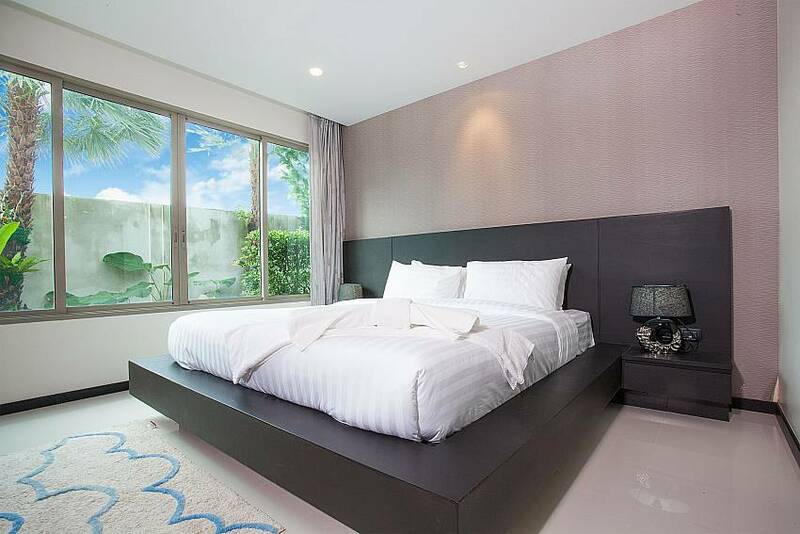 Kamala Beach is famous for peace and relaxation and is also home to a wide choice of international restaurants and bars, all within walking distance. 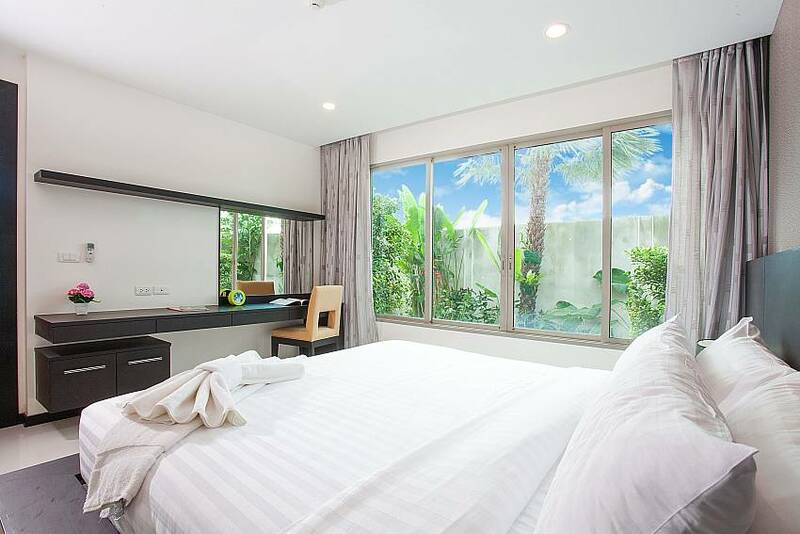 While Kamala basically shuts down at midnight, Patong is a 10-minute drive away and features lots of bars, restaurants and nightlife lasting into the early hours of the morning. 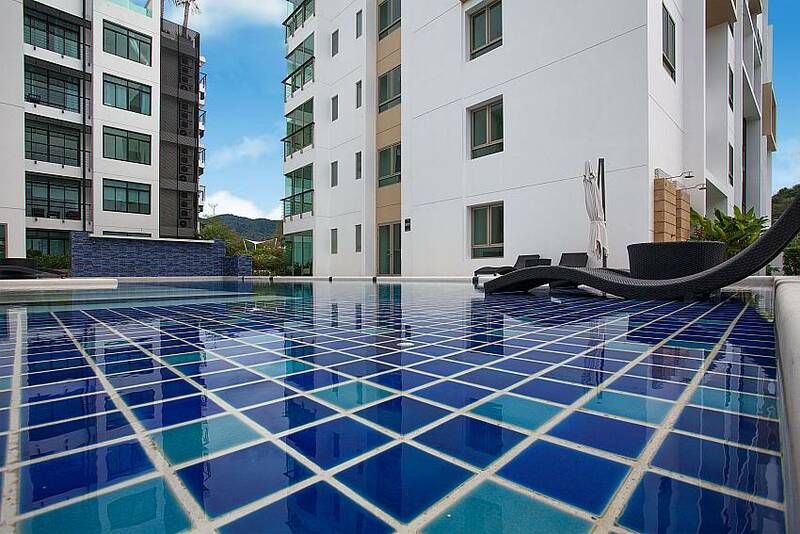 Click the link to view all Phuket apartments for rent. 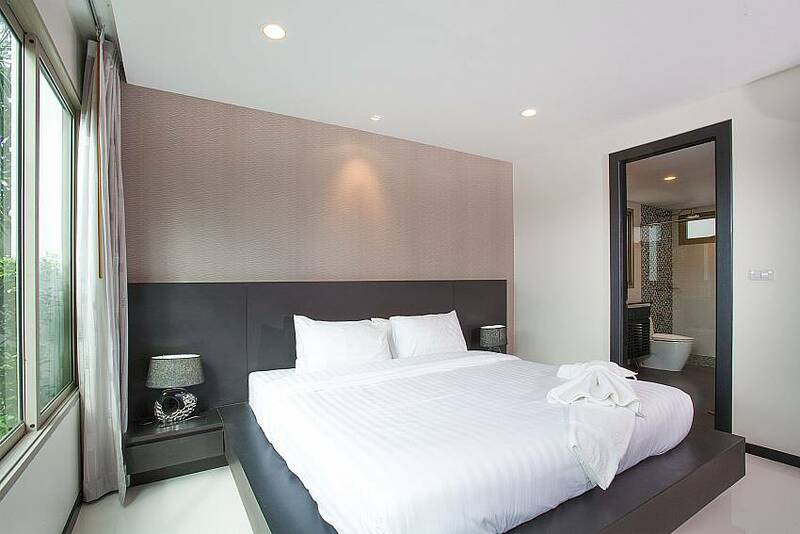 The bedroom is modern in design, with a king size double bed and en-suite bathroom. 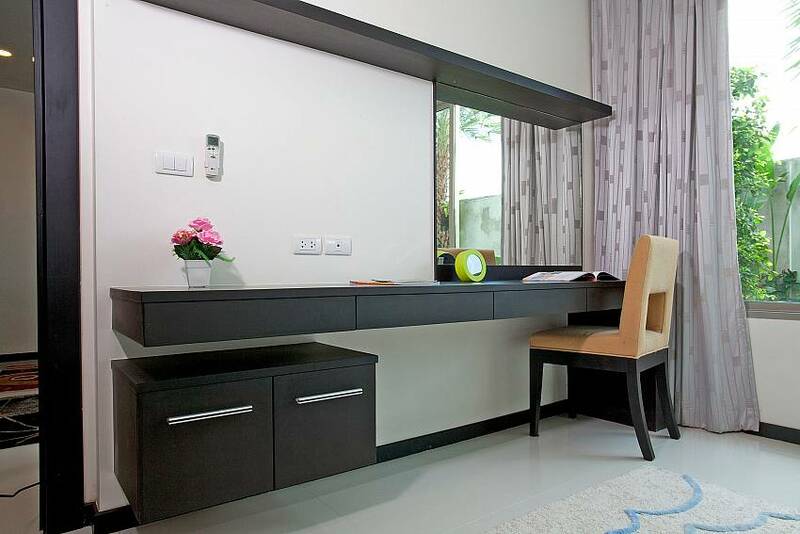 Furnishings include a dressing table with accompanying chair, a mini safe for security and large wardrobes. 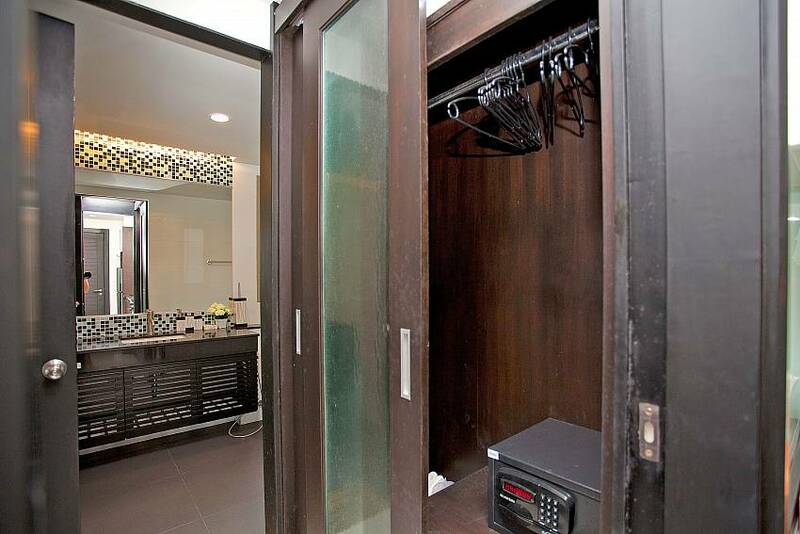 The bathroom is en-suite and comes with double wash basins, shower and a toilet. 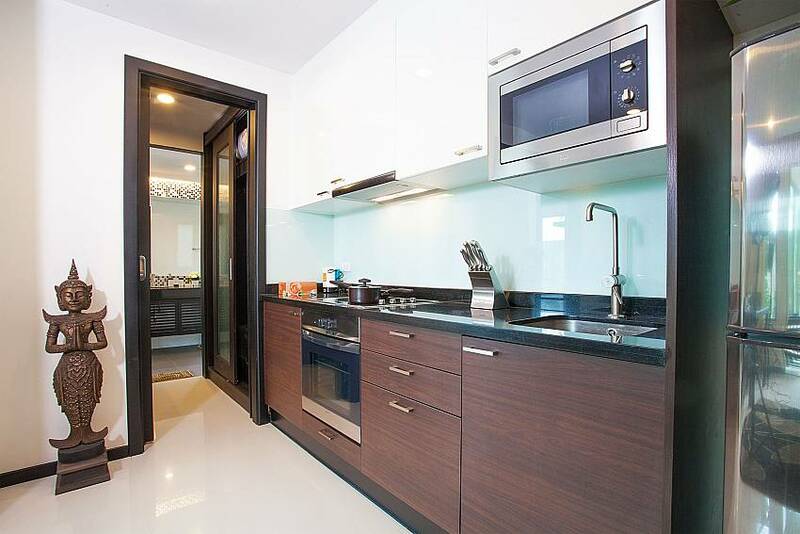 The condo has an open-air kitchen that is great for those looking to undertake some self-catering. 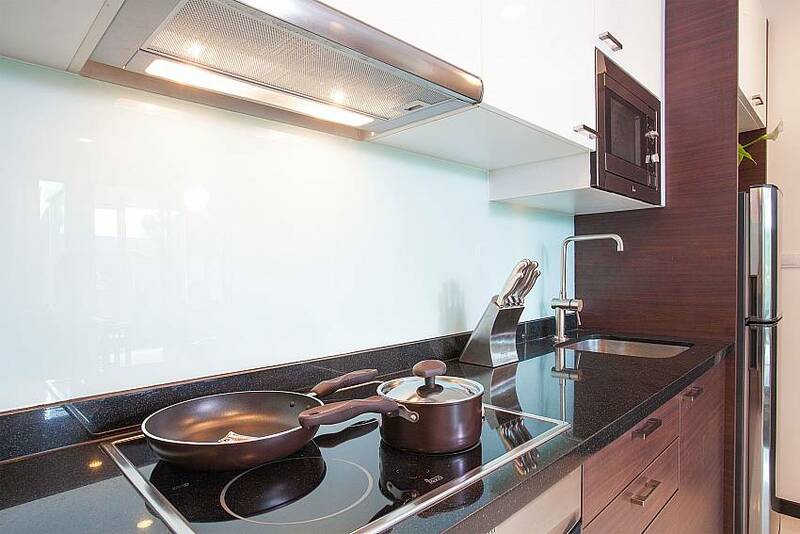 Provided is a four-ring electric cooker, oven & ventilator, microwave, sink and kettle. 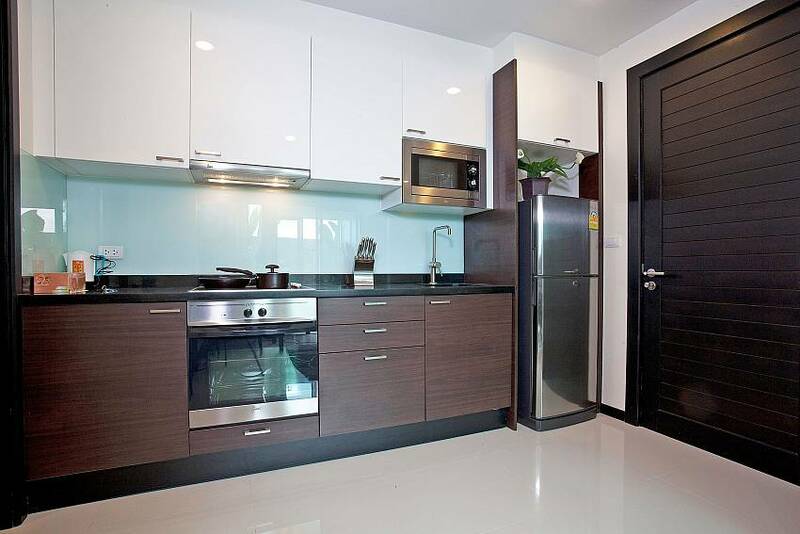 The area has plenty of cupboard space and there are lots of dishware and cutlery. Open-plan in design, the lounge is located next to the kitchen and the dining area. 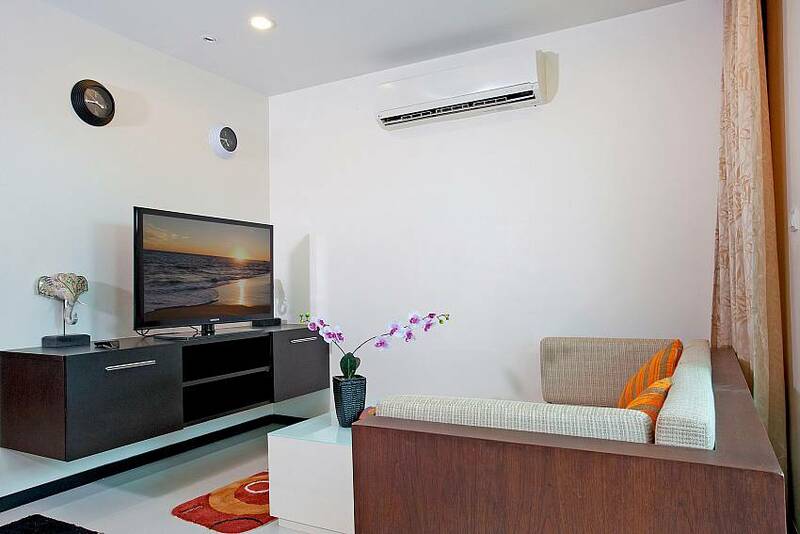 Entertainment is provided by the LCD TV which comes with satellite channels. A comfy two person sofa makes for the ideal place to sit back and watch a movie. 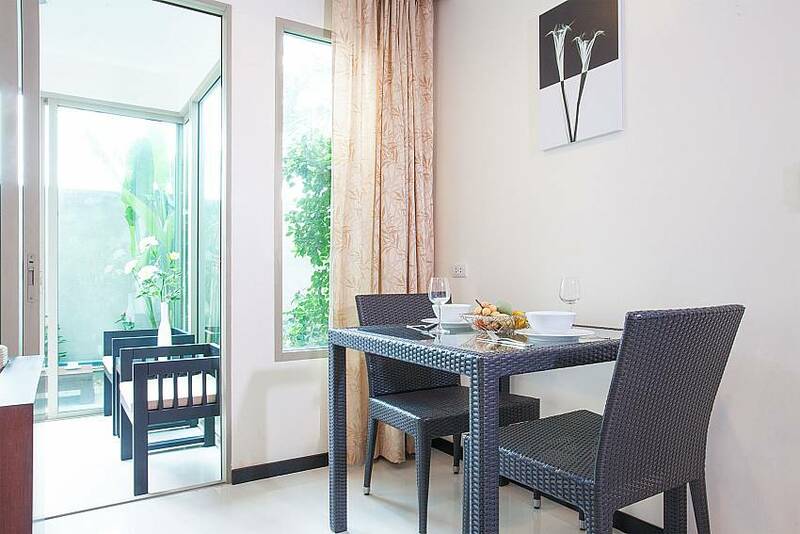 Dining can take place in the indoor dining room where there is a glass dining table that can seat four people. 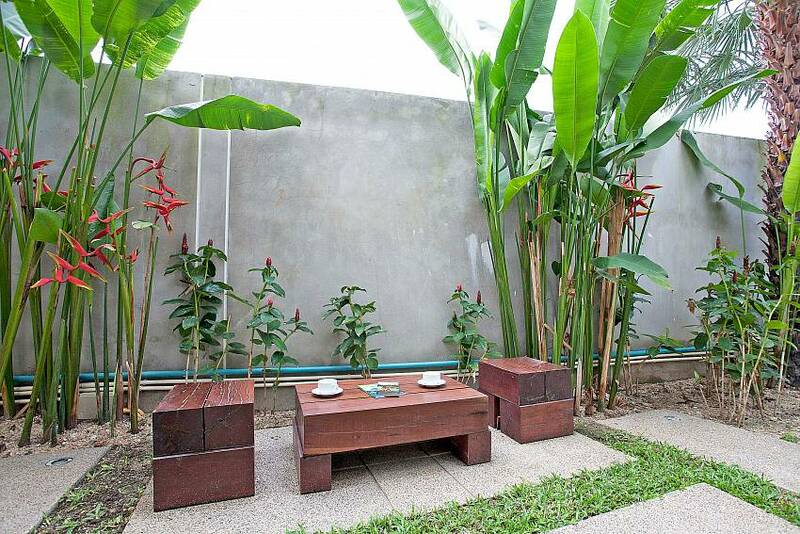 There is also an area by the garden where there are two wooden stools, two chairs and a small glass table. "We had a lovely time. The staff was very nice and helpful. The apartment is exactly the same as on the picture. We feel like home ! 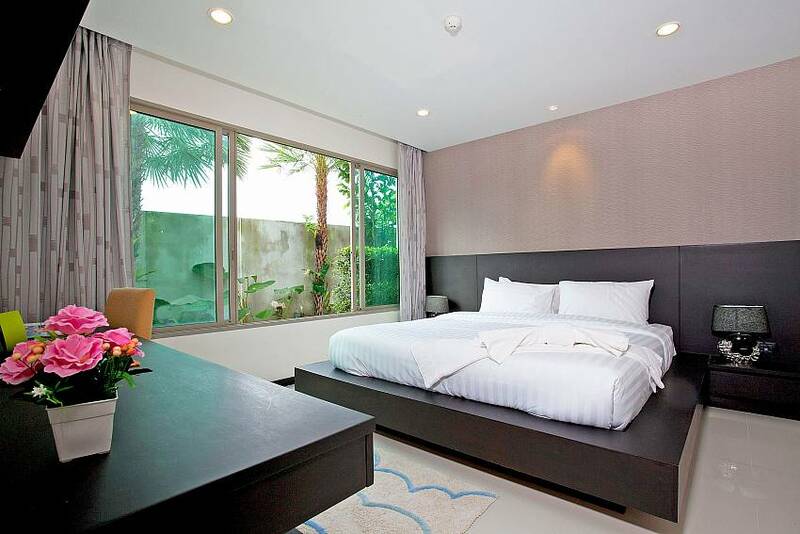 We definitely recommand it and will book again with them!! " "We love to relax in this condo. 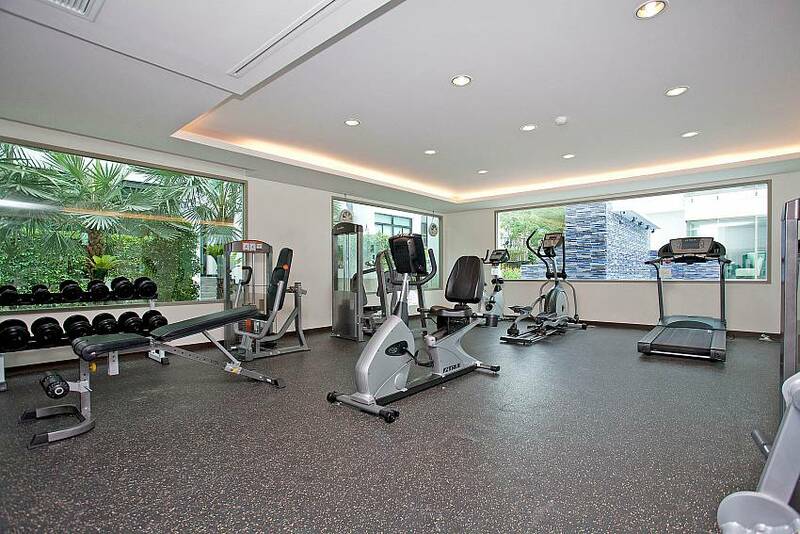 Very good area, 2 swimming pools, 2 sports halls. 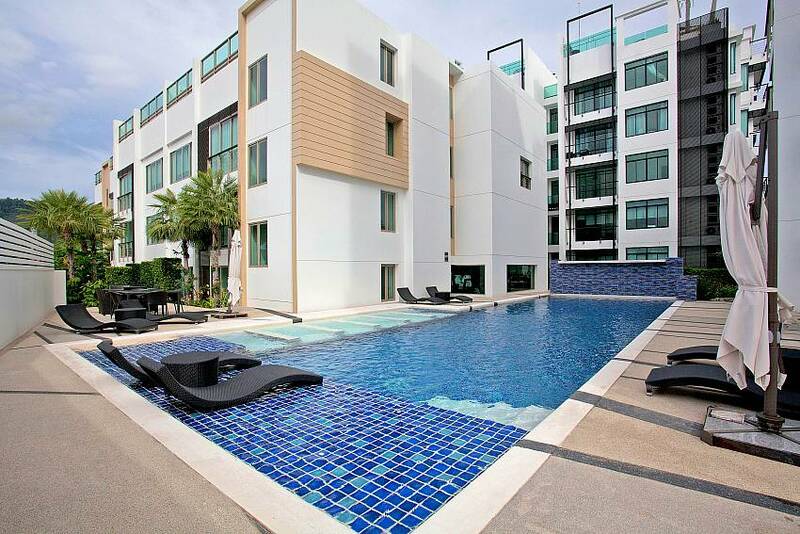 Clean and modern apartments. I would like a smaller price. Sincerely, Vladimir Sokolov"